We help make memories, beginning with our open-hearted welcome and our exceptional location, nestled among 58 acres of landscaped gardens and beautiful woodland less than two hours from New York City. Our venues and accommodations give you space to connect with each other—whether you’re planning a family reunion, milestone anniversary, or other celebrations. From welcome drinks to farewell brunch, our alchemy gives each event special meaning in its own distinctive setting. You might treat your siblings and their families, typically scattered across the globe the rest of the year, to a private dinner set in our cozy Parlor, with a table set around a gas fireplace. Thousands of square feet of outdoor and indoor space exude natural eloquence and understated sophistication, allowing you to host events without repetition. One constant? Unparalleled New England charm. 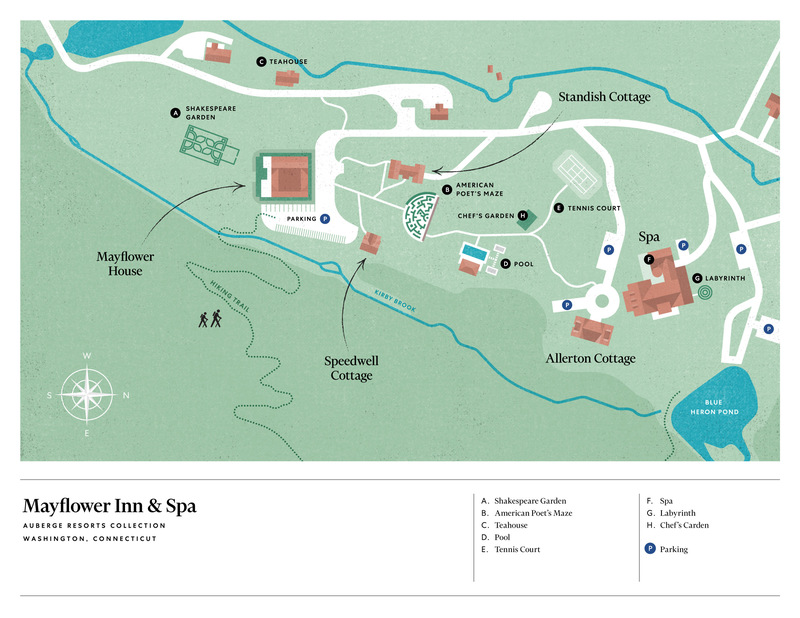 Nestled among 58 acres of landscaped gardens and beautiful woodland and surrounded by 3,000 acres of nature preserve, Mayflower Inn & Spa provides an idyllic countryside setting to connect and revel in each other’s company. An al fresco cocktail party is always nice. An al fresco cocktail party overlooking our formal Shakespeare Gardens provides for an spectacular night to remember. Go big on your birthday. Make this year’s holidays the one to remember with an extraordinary New England countryside setting.